It’s all very well going around complaining about everything, but there is plenty in life to enjoy. Sometimes you have to look in unusual places. Your heart. Perhaps in your past, or your soul. Unexpected places, maybe. I chose to look in Cuba. Not as philosophical, I’m afraid. But I’m not yet an old grump with time to waste on anything quite as garrulous as describing a search for happiness in my soul here. No, this one is about the cities we found while looking. We visited a few of them. Different parts of Cuba are very proud of different things, there’s a great East to West divide in pretty much anything. Music, Culture, Architecture, food, historic role, everything. And due to this there is certainly a great blogpost there in the Cuban Occident vs Orient debate. Unfortunately, we underestimated the size of Cuba slightly. You see Cuba is 1200 km from end-to-end and we flew into the same end as we flew out of. That, combined with the poor roads limiting connection speed meant we chose to stay in the Occidental part of Cuba. But seriously, check this island out. There’s another island comprising 2 countries that is smaller than this one. 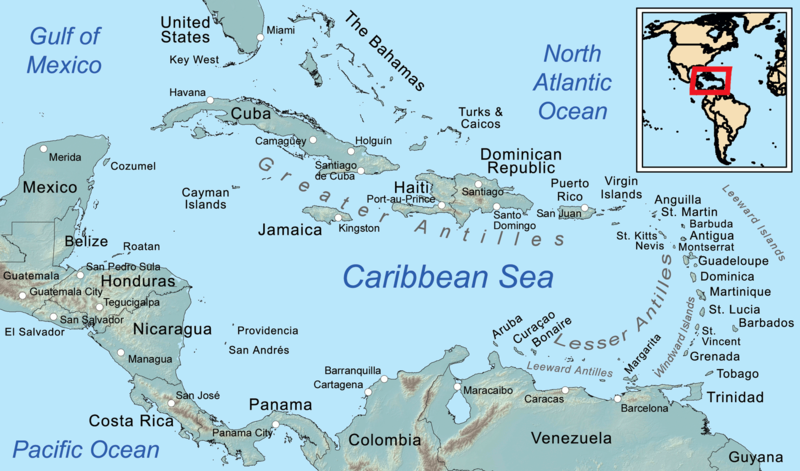 There are countries in central America that are smaller. As a matter of fact, there aren’t any countries bigger between Mexico and Colombia. That’s 400 km less than the length of the main island of Japan, and we took a year to see Japan. Capital city of Cuba and the city we flew in/out of. Spanish has this thing where b/v are like the same thing and it is “La Habana” not “Habana” because she is a precious lady? It is a really special city. There are a lot of different aspects to it. There’s the gorgeous colonial rose, wilted and all. There’s the capital of a country very closely allied to the Soviets, with all the fantastic diverse architecture that comes with that. There’s the city proud, very proud of its revolution. There’s the city located in the middle of Caribbean perfection. You might not think the last one is of much relevance to a big city, but the city has its places to hide out the siesta. And there’s a lot of requirement for hiding out the siesta in the Caribbean (for us poor white people seasoned in northern europe). The mid day sun was pretty gruelling at times in the heart of winter. If you find yourself in La Habana, take some time to sit in the little parks throughout the city or under some sort of shade looking out across the harbour/strait of Florida. The city is subdivided in a number of parts hailing from different eras, and their character reflects that. There’s old Havana, where this proud city started. And the colonial history is clearly visible in the architecture, and it has some gorgeous architecture. This is also where the impact of the economic realities of the last half-century are most visible. There are a lot of buildings here which, after standing proud for centuries, are in danger of collapse. Or just in serious disrepair. Old Havana is lovely to stroll through and probably what you were picturing when you think of Havana. There are a ton of museums, a bunch of small galleries and the focal point of all tourist activities. There’s Central Havana, which is a bit more modern and where you might easier see the real life of the Cubans that live in Havana. Also, this is the place you might find the house used in Fresa y Chocolate, which is, I’ll admit, my only exposure to Cuban cinema that I am aware off. This is also where the majority of Malecon runs, and I recommend driving down that on sundown. And then there is pretty much everything on the Prado/Agramonte; The National capital building, Central park, the museum of the revolution and more. This is also where you’d find the Cuban music scene that you might have been looking for. Actual social clubs that aren’t Buena Vista. There’s Vededo, which looks like Miami in the ’50. Or as my lovely wife puts it: “A place you might run into Dexter”. That’s the Michael C. Hall Dexter, not the one with the sweet lab and annoying sister. This is also where you’d go for the night-life and the music the kids are dancing to. This part is also freshly built just before the revolution and reportedly bankrolled by the Miami mafia. Looks pretty nice in a completely different way from old Habana. And those are just the central parts. We enjoyed a really good seafood lunch in Marianao and had to cross the gorgeous Rio Almendares to get there. Other than those Jinteros I mentioned in the Old Grump’s guide it really is a nice city. Cienfuegos is the French colonial city in Cuba. The Gallic heart, they called it. The city has an entirely different feel, architecturally speaking, than the rest of the country. I think that is probably a major draw if you’re into architecture, but I’m afraid I can’t tell my ionic from a Corinthian column. Spanish colonial vs French colonial architecture. All I know is both really like their balconies. UNESCO has decided it is special enough to protect though, there is a large swath of the old city center protected. And it is very pretty, well worth a day of strolling. Next to the architecturally interesting center there’s also the outlook over Cienfuegos bay and the walk to Punta Gorda alongside it. While the city itself is nice, there’s a fair few things around it worth visiting as well. The botanical Gardens house the most species of palm (or so it is claimed) of anywhere in the world. Laguna Guanaroca makes for a very cool visit, especially if you’ve never seen pelicans/flamingos before. A wetlands with a boat ride on a flamingo feeding ground and a trip into a mangrove river. And as we understand it El Nicho and Castillo de Jagua are really nice visits as well, but we didn’t have the time to go there. Thinking we were still on a tight schedule. HAH! While Habana and Cienfuegos are large cities (relatively speaking) Trinidad is refreshingly compact. There’s only 50k people there and you can walk through it in an afternoon. You’d be doing Trinidad (and Cuba) wrong though. I found this style of touristing to be very well suited to Trinidad, better than the other cities we visited at least. This town is really nice to just chill in. Go north and you enter an un-touched-ish wilderness (more on that soon). So it’s a nice all-round kind of place. Unless you like history. I’m sure it has some, but I don’t remember it so it probably wasn’t spectacular. This is where the big music scene is btw. Most of which is mostly really nice, although that one trumpetist mentioned by the old grump really did try to mess things up. Stage for a big band and room to dance for locals and silly tourists alike. Some of those silly tourists even had some moves. Trinidad has little out of the way restaurants and gardens catered by 2-4 man groups with 2 guitars and some maracas and a big central music stage for 10-16 man big bands. You could do worse than spending a couple of evenings in this town. That’s it where cities is concerned on our trip. The rest was spent in town and on beaches. This entry was posted on Sunday, February 8th, 2015 at 18:40	and is filed under Travel. You can follow any responses to this entry through the RSS 2.0 feed. You can skip to the end and leave a response. Pinging is currently not allowed.